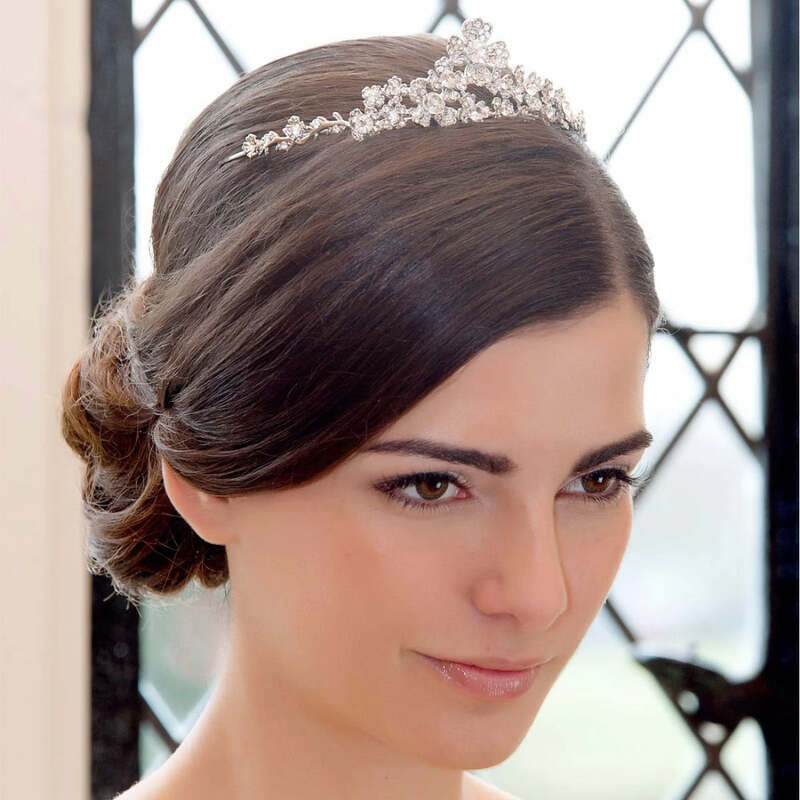 Channel your inner Audrey Hepburn on your wedding day with this beautiful flower tiara adorned with sparkling crystals. 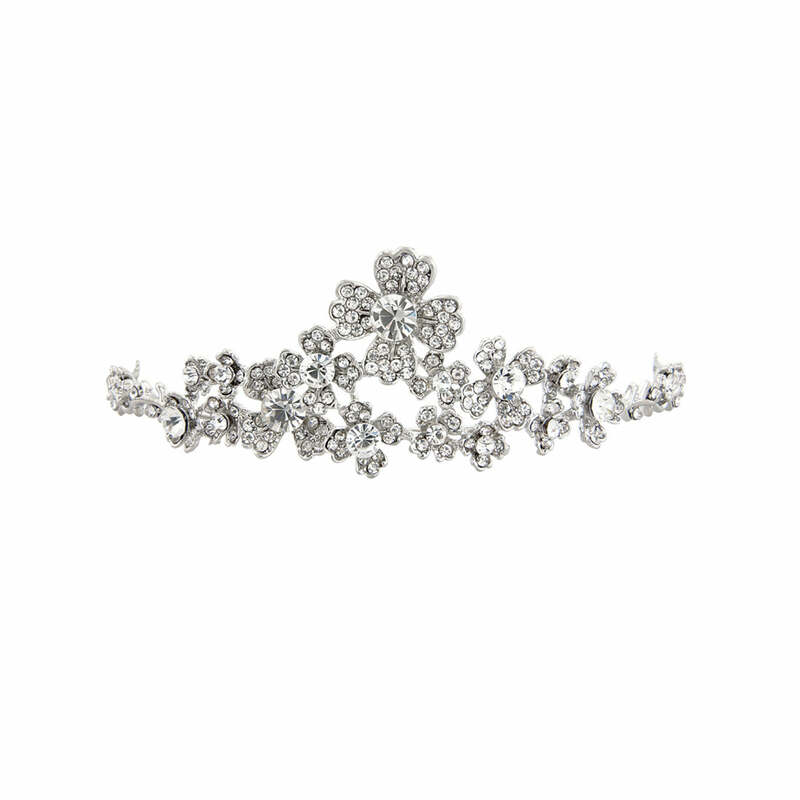 Fall in love with the sparkling romance bygone eras with our Posy of Class Tiara. Featuring a posy of delicate flowers adorned with glittering clear Austrian crystals, this silver tone headpiece is worthy of a role in Breakfast at Tiffany's. Taking influence from precious bridal tiaras from 1950s Hollywood, this dainty piece looks exquisite positioned at the crown of the head to adorn a chic French pleat or ballerina style high bun. For a feminine and delicate fairytale look, wear this traditionally towards the front of the head in feminine tumbling curls. Brides who adore subtle charm of a vintage crystal flower wedding tiara will love Posy of Class. Complete your aisle style with delicate crystal bridal jewellery for a timeless style.